Albert Danielson built Fry Lake- not sure of date – probably in the 1930’s or 40’s. In 1962, the Fry family purchased a little more than 600 acres from Mr. Danielson. This was the first piece of property the Fry’s had owned. The purchase included a house, several lakes, a seven acre strawberry patch and a gravel business. In 1964 or 65 the Fry’s started working on the lower lake converting it into a place for swimming. 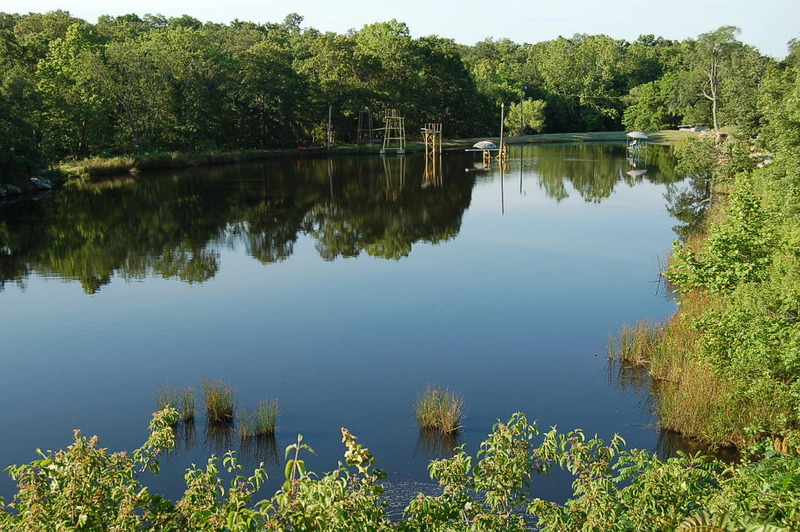 They drained it, cleared out moss and trees, reworked the dam, hauled in many truckloads of sand and put up the 18′ diving board. Mr. Fry built benches and tables and also put in a concession stand and bathroom facility. There were swings with athletic bars and see-saws for the kids to play on. The charge was 50 cents for adults and 25 cents for children. Fishing was 50 cents for the day. Parking, picnicking and hiking were free. 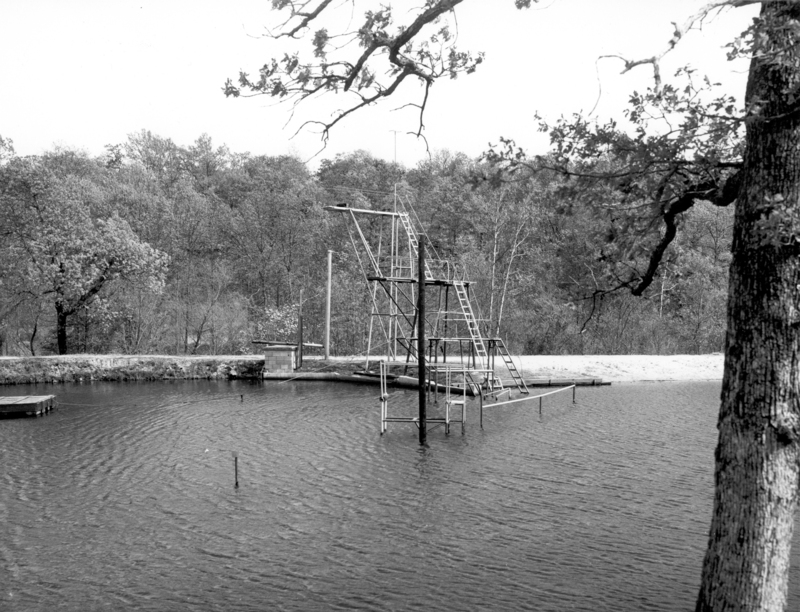 The lake opened for swimming in 1966. The lake was drained and cleared every year. Mr. Fry would add something new each year, i.e. water slide, more diving boards, raft etc. In 1971, Mr. Fry had to have major surgery and could no longer take care of the lake. In 1972, the Fry’s sold the lake to the Church of God. Mr. and Mrs. Fry had 5 children – Bill, Jerry, Norma, Carlton and Oneita. Mr. Fry loved to play the guitar. In 1954, he made a recording of him playing the guitar. He had a Martin guitar that he purchased in 1943 for $10.00. Later this guitar was purchased by Vince Gill from one of the Fry children. Vince Gill played a song on the guitar in one his shows and mentioned Mr. Fry in that program. Mr. Fry was a welder and diesel mechanic for Haliburton. When he retired he worked part time with the Sheriff and Chief of Police in Seminole. There had been several break-ins around the area and Mr. Fry had experience in fingerprint identification. He was able to help with the break-in cases. Mr. Fry died in 1975. 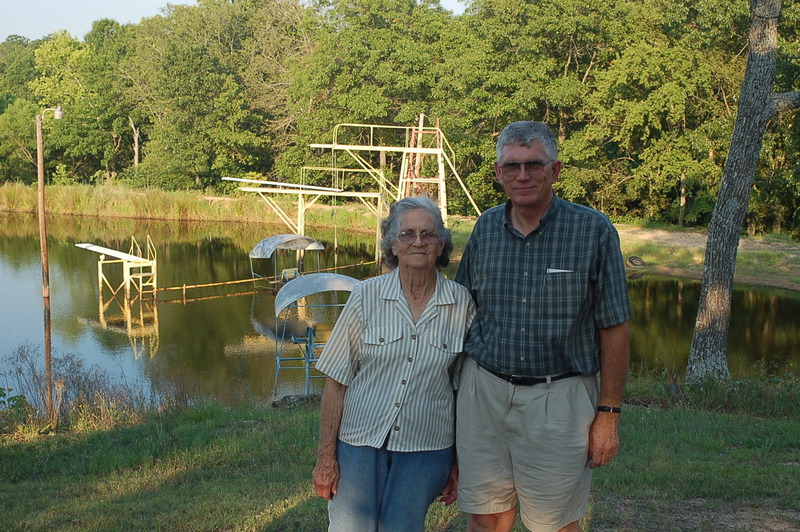 He was very much a family man and the entire Fry family was involved in making Fry Lake work. Dave and I were privileged to have been able to sit down with “Mom” and Bill Fry. They came over and filled us in on some more of the history of Fry Lake! We enjoyed hearing the stories of how Mr. Fry purchased the property and the reality of seeing it come to be the local swimming area. Bill told us the story of how he helped put the 30 ft. diving board together, but then once it was done, he never did jump off it. Sounds smart to me!!! Mom Fry told us how she used to work in the concession stand and would make lots and lots of sno-cones. We enjoyed meeting and getting to know both of them! Thanks you guys for taking the time to come over and fill us in on this piece of property. We were able to get a few pictures of them. Norma – you skated on the pictures! You’ll have to come back over so we can get a picture of you at Fry Lake! Oneita, we are looking forward to meeting you in September! 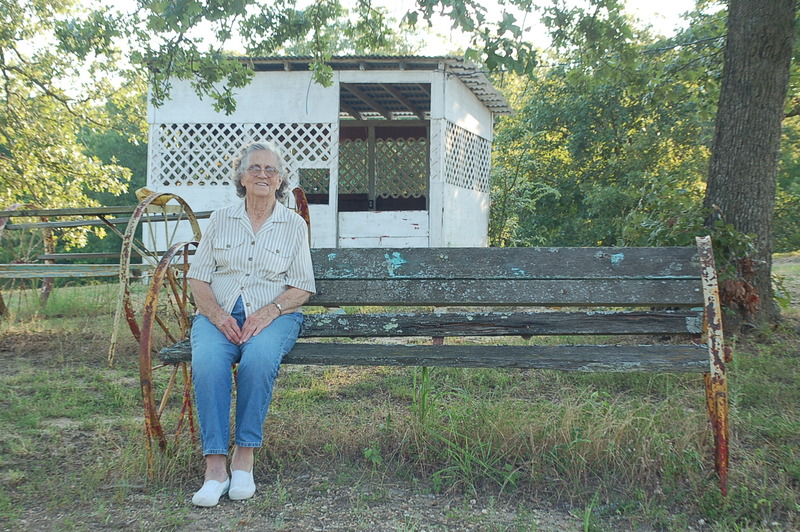 Dave and I really enjoyed being able to sit down and talk to Norma Gillespie about Fry Lake. She is the daughter of Mr. and Mrs. Fry who used to own this place. Norma gave us some of the history and brought some pictures and newspaper articles that she is allowing us to copy. We are hoping to talk to one of her brothers that lives around here and also to her mom. We will update the history of this place on our history page as we get details. Thanks Norma for taking time out to share about Fry Lake with us. We really enjoyed meeting you and learning more about Fry Lake!! !